As part of our continuing series on how to open a trading card shop, we spent some time with Lloyd Kee and Steve Snyder from GTS Distribution. Take a listen as they provide some tips on how to be successful in this industry as a shop owner and about how GTS Distribution can help a new shop. Question: Why is planning so important before opening your store? Marcel at Legacy Sports: “I realized that if I wanted to open to a hobby shop that I would need a loan. The only way to obtain a loan is with a business plan. At first I almost had someone write it for me, but then realized that I would only be short changing myself. I ended up going to my local SBA branch and they helped me write my own plan. “It took me six months to write the plan. I had never written one before and I learned that there wasn’t a financial institution in the country that was going to lend me money unless I did this right. In writing the plan I became very aware of all the sacrifices that I would need to make in my life and the limited amount of financial profit I would immediately realize in opening a new business. Question: They say location is important, what are things a new shop owner should look at in terms of location? Waiting to find the right location at the right price for his storefront was a critical component of Marcel's success. Question: How do you find good employees? Marcel at Legacy Sports: “I strongly believe that you are only as good as the people you surround yourself with. Finding good employees in this business is very difficult. I was scouting talent all the way back when I was writing my business plan. The two things I was looking for were honesty and knowledge. I always go with trust before brains or ability. Question: Why is it a good idea to bring players in for an in-store appearance? Marcel at Legacy Sports: “I think it is a good idea because your customers really love to meet their favorite players in person. It also creates a lot of mainstream buzz for your shop and you should always reach out to local media when you have a signing going on to help advertise it. Question: With so many different products, it is hard to decide which new products you want to carry. How do you decide which products along with the quantity that you bring into the store? With the help of GTS, Marcel and his team do a great job of keeping their shelves stocked with offerings their customers enjoy. Question: Why do you feel it is worthwhile to partner with a distributor like GTS? 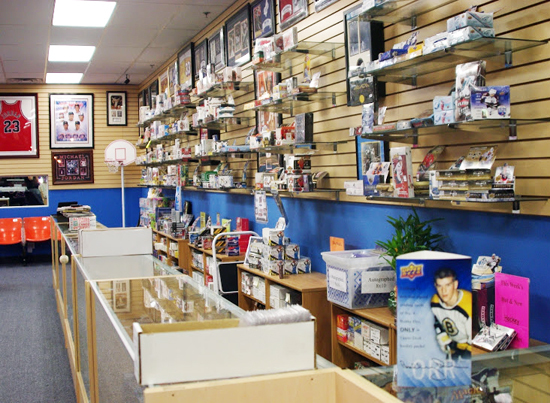 Marcel at Legacy Sports: “I believe GTS is the largest distributor of trading cards in the U.S. They do not have any secondary interests, meaning they only sell sealed boxes and supplies to retail. They do not crack product and or sell cards. I know when I buy from them that my product is clean and since they are the largest they can provide me with Wal-Mart-like prices. They consistently beat pricing across the board. Question: There are things that will come up that are not in your business plan that can really cripple a business. Describe a time where something unforeseen came up and how you handled it. Marcel at Legacy Sports: “A few years ago we were held up at gun point. They took our entire inventory of vintage cards, most of our current cards and hobby boxes. The economy was down and we were already struggling. That was a huge blow! For more information about GTS Distribution, please visit their website, their Facebook page or their Twitter page. 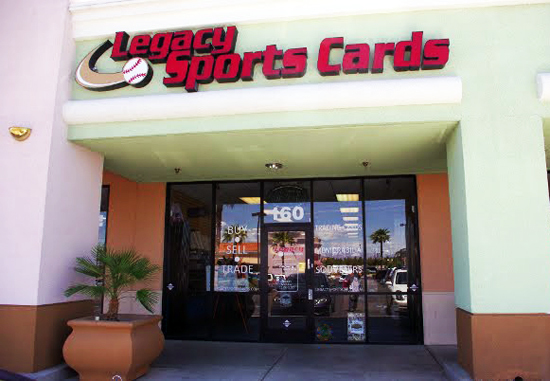 For more information about Legacy Sports Cards, please visit their website, their Facebook page or their Twitter page.